This week I finished my little Hashtag Quilt! Looking back, I wrote the tutorial for my Hashtag Quilt Block in 2016 (nearly 3 years ago!) 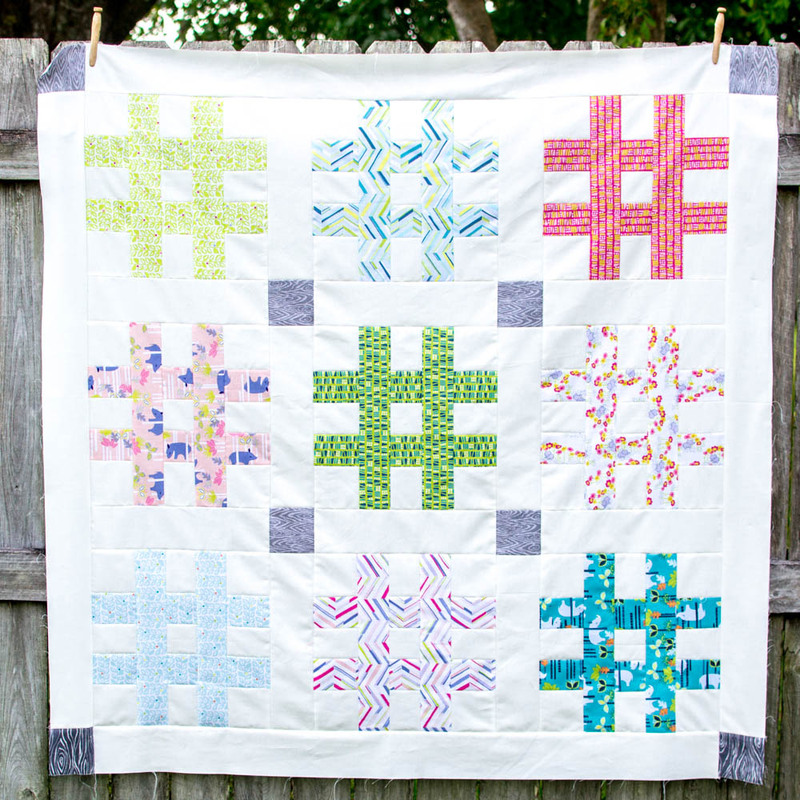 and then later I wrote the free Jumbo Hashtag Quilt Pattern for you. When I needed a quick handmade baby shower gift! I love finding almost-finished projects just at the right time. This quilt top is sewn from nine 12’’ (when finished) blocks with 3’’ sashing strips and a 3’’ border - with cornerstones. It finished at 48’’ square. After sandwiching it with some batting and backing fabric, I used straight line quilting in a grid pattern, following the seams in the piecing as a guide. Then I made a quick Studio Chat video to show you. I love being able to do that! By the way, I re-organized my Free Sewing Patterns tab and now it is organized by category. Click above to check it out. The Free Quilt Patterns and Classic Quilt Block Patterns sections are all about quilting! I wish that there was some way you could show me your quilts in a video too.